Harrisburg, PA – Governor Tom Wolf today announced he will monetize a major state asset to manage the state budget and ensure that payments can be made to schools, health and human services providers, and other governmental entities. As specified in the governor’s February budget, the commonwealth will begin accepting proposals to execute a lease-leaseback arrangement for the Pennsylvania Farm Show Complex & Expo Center. This arrangement would allow the commonwealth to retain control of the property, while also using its value to protect school districts and other entities that rely on funding from state government. 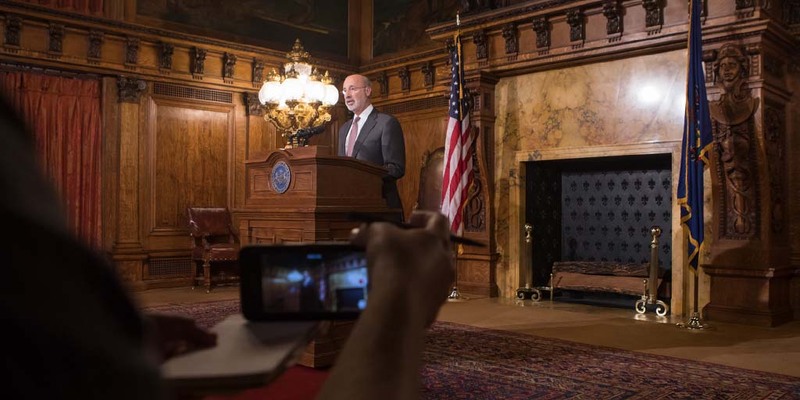 “The failure to finalize and responsibly balance the budget means I must take action to make sure the Commonwealth can honor the commitments approved on June 30 by the General Assembly,” Governor Wolf said. “This further action will mean we can make our complete payments to local school districts and providers of human services, treatment programs, child care and other important services that Pennsylvanians rely on. Pennsylvanians, especially our kids and most vulnerable, should not bear the consequences of House Republicans’ inaction. The commonwealth will retain ownership and control of the property. This plan will also continue the commonwealth’s commitment to the facility by dedicating additional funds to improve the property over the term of the agreement as the commonwealth continues to own and highlight the facility for Pennsylvanians and visitors from throughout the country. Under this arrangement, the commonwealth will lease the Farm Show to a private entity for 29 years for the fair market value of the property of approximately $200 million. At the same time, the private entity will lease back the facility to the commonwealth for the same term with annual rental payments based on a negotiated interest rate. The review process for proposals will involve multiple agencies, including the Department of Agriculture. This is the latest step by Governor Wolf to manage state finances and ensure the commonwealth can meet its commitments. This announcement follows his actions last Wednesday.